To best meet the needs of a complete range of sectors, Dickson® products are manufactured in compliance with the certification standards applied to most buildings. As an environmentally responsible actor, Dickson® never sends waste from its production site to landfill. We sort all waste produced by our head office and production site. Some 300 metric tons are sorted each year for specific recycling. Our products are laboratory-tested to ensure their quality and technical performance. Dickson® continuously improves its energy efficiency. Monitoring our energy consumption on a monthly basis allows us to reduce our environmental footprint. Each employee is trained on arrival and throughout his or her career in order to prevent incidents. We also take all necessary measures to ensure his or her safety and that of others. 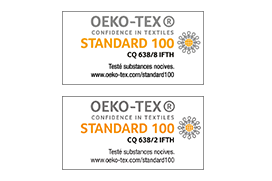 The OEKO-TEX 100 standard is a guarantee of transparency (traceability control), safe manufacturing (tests) and our commitment to environmental norms (selected chemicals + unscheduled audits performed by the OEKO-TEX® non-profit organization). 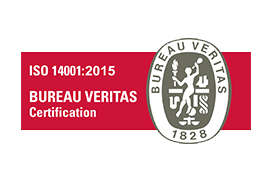 The OEKO-TEX® certificate, valid for one year, is awarded by an independent laboratory accredited by OEKO-TEX®, following the expert technical analysis of the certification application and control tests.